You could strap a GoPro to your helmet and catch the action in front of you. But what if you miss something awesome happening behind your back? 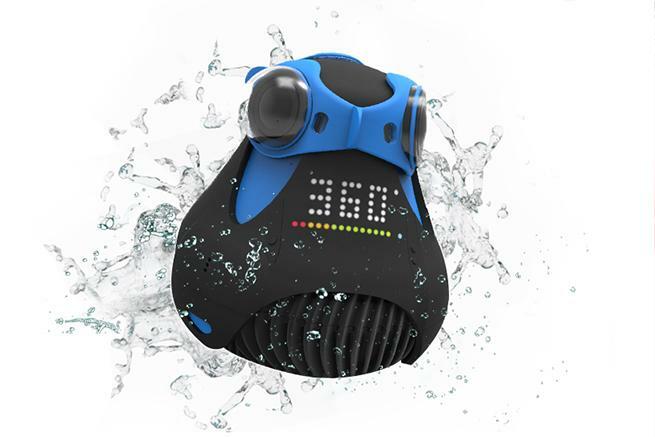 Better cover all your angles and get a 360fly camera. It’s dust-proof, shock-proof, and water-proof and is able to shoot video at 1504×1504, in 30fps. You can view the vids through the companion app, and then share them to your favourite social network. Unfortunately, despite having 16GB of internal storage, we can’t quite tell how much time that gives you. Still, it’s a cool product that we expect to do well on the marketplace… if they can manage to convince people to fork over $499. You can pre-order it now, with shipping “this spring”. Man’s best friend probably has some crazy stories to tell, if only he could. Between those twigs he dug up, the butts he sniffed and the water he splashed around, doggie’s life is filled with adventure. 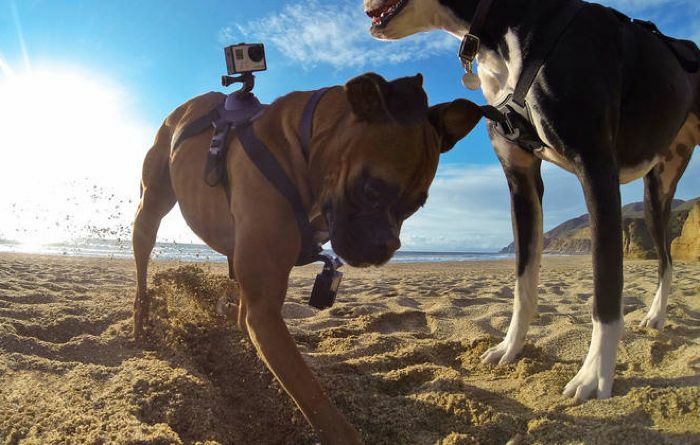 With the Fetch Harness from GoPro, he’ll be able to tell you all about it, even if he has no idea what he’s doing. The strap securely attaches your camera to your pet’s chest or back, so you can get two angles. It fits dogs of all sizes, from 15 lbs to 150 lbs. It’s padded at all adjustment points for comfort, and is completely washable. 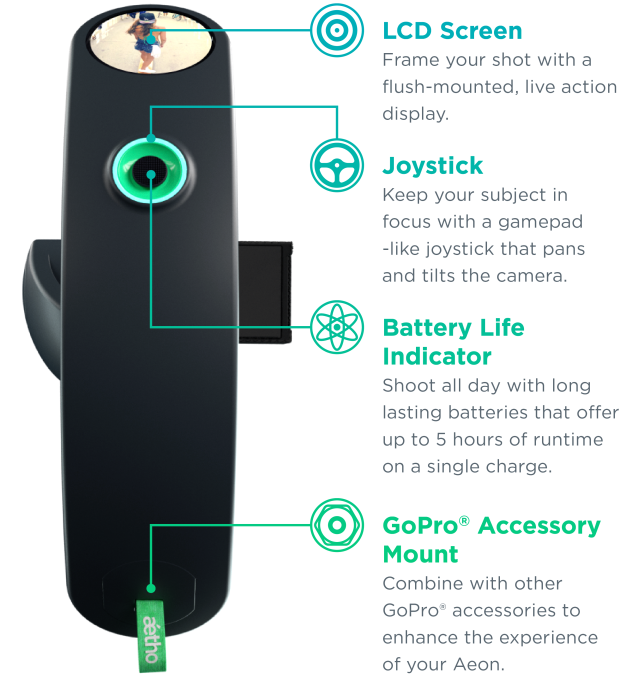 At $60, it really is an inexpensive way to capture some interesting footage. Got something that you want to say out loud, but can’t because it’s something that’s meant to be kept private? Then download the Awkward app and start filming. It’s an app that lets you record blurred video confessions so you can get them off your chest without compromising your identity. 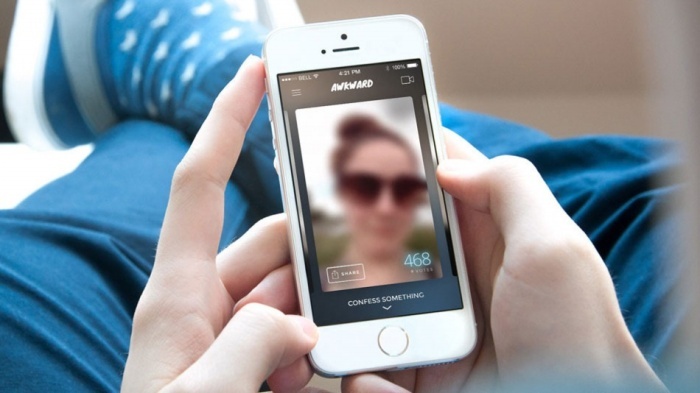 Created by Redcyan, Awkward lets users film themselves for up to ten seconds. It then provides options for the degree of blurriness that the user wants his or her video to be. They can also opt for zero blur, if they’re ready to let the world (or whoever uses the app) about their deepest, darkest secrets. After the videos are uploaded, they can be embedded to websites and shared via email and social media. Awkward can be downloaded for free from the iTunes App Store. By David Ponce on 06/02/14 • Leave a comment! 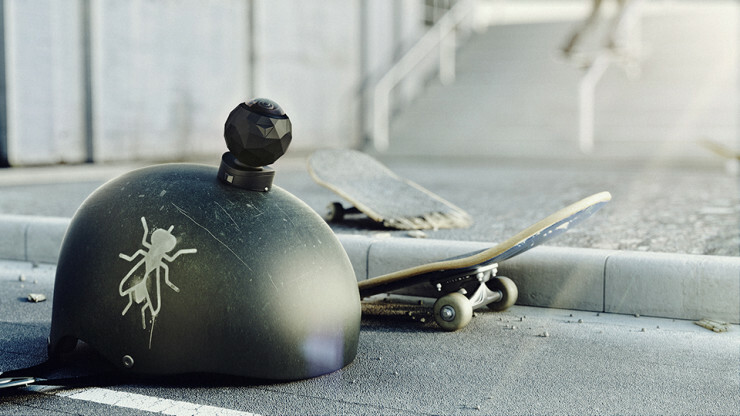 The action-camera market is crowded, but is largely dominated by GoPro, and for good reason. They’re great cameras with amazing video quality and tons of features. One thing they don’t have, however, is the ability to shoot in 360 degrees. 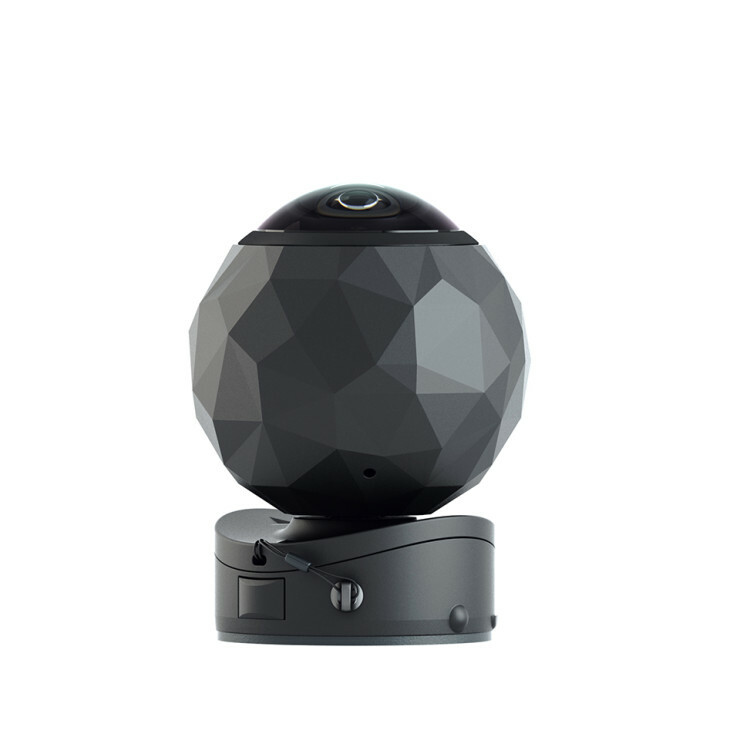 That, the 360cam does by cramming three cameras with 185 degrees of lateral vision together in one package. 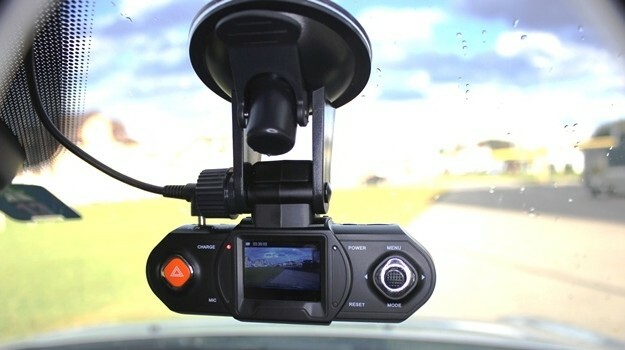 The overlapping views are then stitched together on the device before being output to h.264 at 30fps in FullHD, geotagged with the included GPS chip. 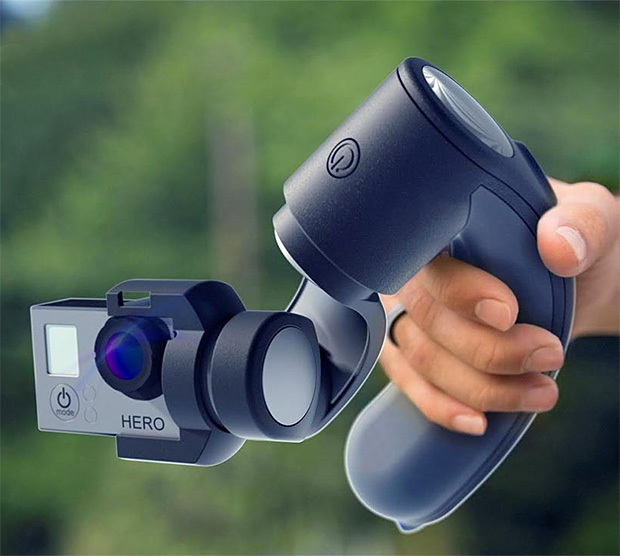 Gyroscopic image stabilization takes care of the shakes, while a WiFi chip allows you to stream your footage directly to a smartphone or tablet. A lightbulb socket adaptor lets you stick the camera on your ceiling somewhere and serve as a security camera. And it takes 8MP stills at 3fps, in case you’re not in the mood for moving images. Oh, and it’s waterproof! 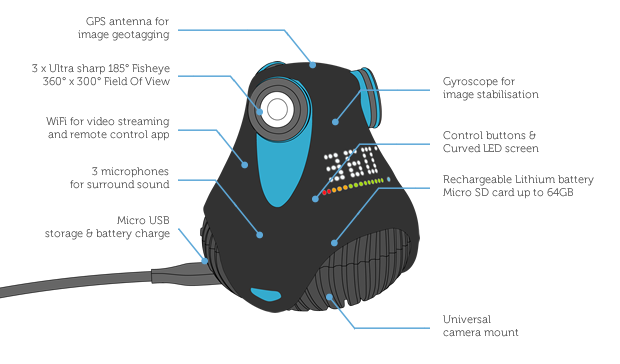 It’s really a full featured camera, and the company understandably blew past its Kickstarter goals in a matter of hours. You can still get yours for $329 right now, which is a good deal cheaper than the expected $529 retail price.